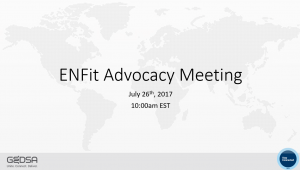 On July 26th, key ENFit stakeholders met in Washington D.C. to discuss current adoption rates in the US compared to other parts of the world. 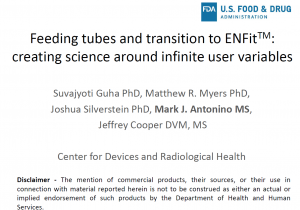 After rich dialogue highlighting the compounding perspectives inhibiting adoption, the group concluded that a future deadline for mandatory adoption would be the best, most expeditious pathway to a single, safer enteral feeding system. 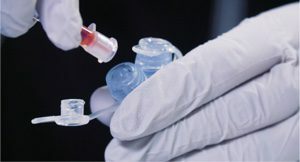 A regulatory mandate from either the FDA, CMS, The Joint Commission and/or CDC would remove the current stagnation that is negatively impacting all areas of the market and allow the healthcare community to focus on the next connector standard introduction. View the presentation to understand that major points that were discussed. The FDA completed a study comparing flow rates and pressure the legacy and ENFit enteral feeding systems. This presentation is the finding of their studies and conclusions. 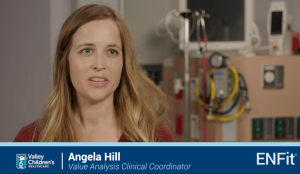 Watch as Valley Children's Healthcare shares insights and learnings gained during their ENFit implementation process. This video will be instrumental in helping facilities just beginning or in the early stages of the ENFit implementation process. 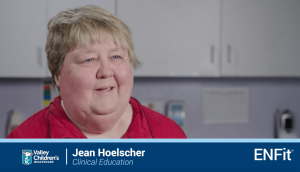 Watch as Valley Children's Healthcare shares Clinical Education Methods & Tools used in the implementation of ENFit. 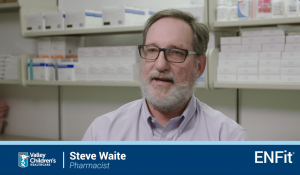 Watch as Valley Children's Healthcare shares their Pharmacy Keys to Success for their successful implementation of ENFit. 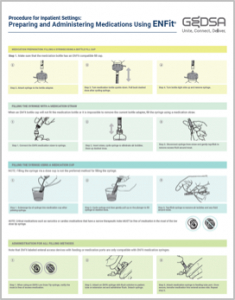 This poster provides a helpful guide for preparing and administering medication using the ENFit system. 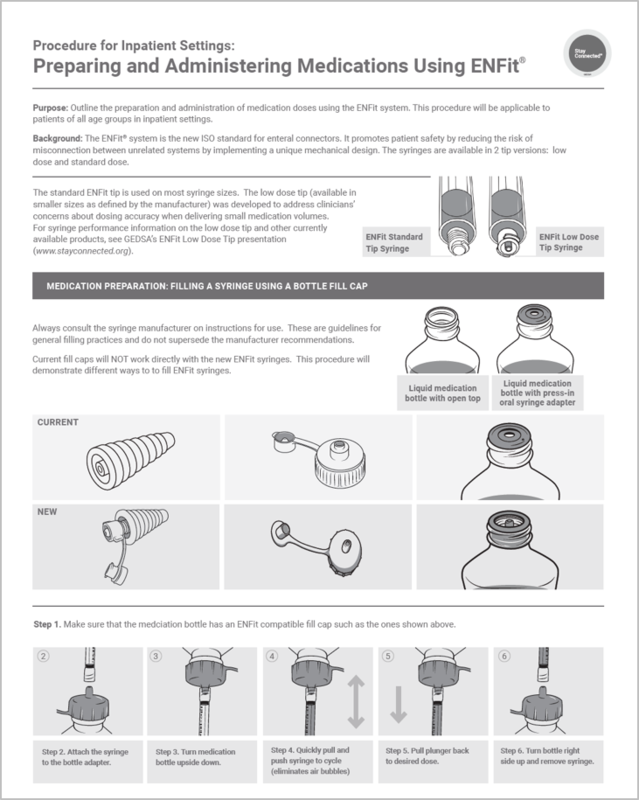 Learn about preparing and administering medication doses using the ENFit system. 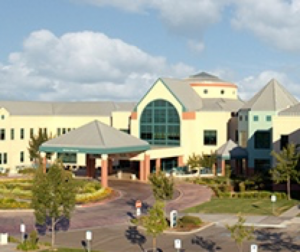 This procedure will be applicable to patients of all age groups in Inpatient settings. 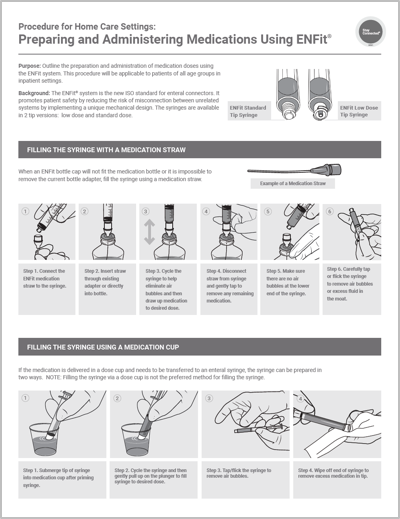 Learn about preparing and administering medication doses using the ENFit system. This procedure will be applicable to patients of all age groups in Home Care settings. 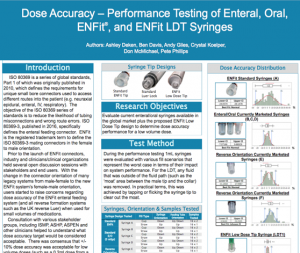 Learn about preparing and administering medication doses using the ENFit system. This procedure will be applicable to patients of all age groups in Home Use settings. On July 14th, The Premier Safety Institute hosted a live webinar focusing on the reasons for the enteral feeding system redesign, implementation set backs, and an update on ENFit. Click the link below to listen to the recorded webinar and to view the slides that were presented. 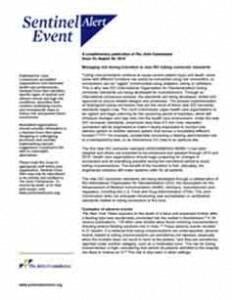 GEDSA and its supporting organizations urge manufacturers, distributors/suppliers and health care providers to be an active participant in the immediate adoption of new ENFit connectors. An unfortunate case of accidental administration of intrathecal gadolinium through an external ventricular drain in a postcraniotomy patient during magnetic resonance imaging of the brain has been reported. This is one example of what the NRFit connectors will be able to prevent. California enacted legislation beginning July 1, 2016 prohibiting the use non-conforming enteral feeding connectors. Understand the importance of the new standard and how to prepare for change. 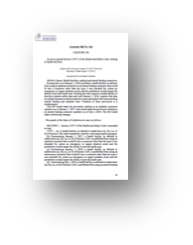 This paper shows the method of using Table 1 in ISO 7886-1 to calculate the Tolerance on Graduated Capacity (TOGC) for syringes, and displays calculated values for different combinations of syringe size (1, 5, and 10ml) and expelled volume. 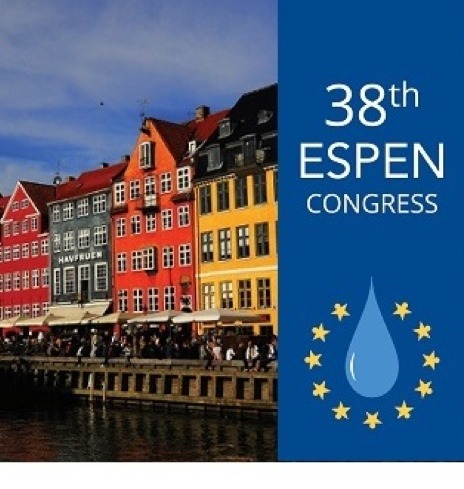 GEDSA held a satellite symposium at the 2016 European Society for Clinical Nutrition and Metabolism (ESPEN) Congress in Copenhagen, Denmark. 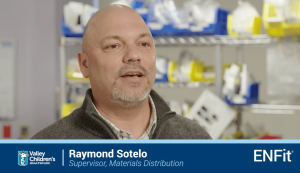 This presentation gives viewers a background on the reason for the ISO 80369 series and an update on where we are in the transition to ENFit connectors. GEDSA recently authored a research poster to present at conferences. This poster presents the background of the Low Dose Tip while providing the data of the testing that has been conducted. 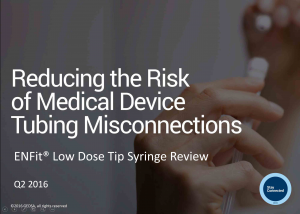 Highlights the reason for the Low Dose Tip design, performance testing, and recommendations of use of the ENFit Low Dose Tip Syringe.